Then the Lord put out his hand and touched my mouth; and the Lord said to me, “Now I have put my words in your mouth. Last week I was at a conference near Washington, DC. On Sunday I had a choice of several churches to attend and decided on New York Avenue Presbyterian Church. I wanted to go there because several years ago – I guess 10 or 15 years ago, I was offered an opportunity to go there and to serve as a pastor. It is always difficult to be turned down for a job, but it is sometimes even harder to be the one turning down a job. And some 10 to 15 years ago, I turned down the opportunity to serve the New York Avenue Presbyterian Church. It is just four blocks from the White House. It was this church that fought for Civil Rights and for abolitition of slavery. It was here that Peter Marshall and many other famous pastors preached. And it was here that Presidents have worshipped. In fact, they still have the pew that Abraham Lincoln sat in. All the other pews have been replaced with more comfortable, padded pews, but they have preserved Lincoln’s pew. Back in his day, people had a reserved pew. That was the way people supported a church financially. Instead of a pledge card and tithing, they would pay for the use of a pew for a year at a time. When Presidents attend today, they are invited to sit on Lincoln’s pew. Since President Obama was not there that Sunday, they invited me to sit in Lincoln’s pew. So there I was last week, thinking about the road not taken and the fact that a decade or more ago, I might have spent a few years in this church. When the Pastor Nominating Committee invited me to accept a job there, I thanked them, but said I did not feel a sense of call to serve their church and wished them well as they continued to search for someone else. In response, there was pure silence. It could not have been more than a few seconds, but to me it seemed uncomfortably long. Finally someone on the committee spoke up. I wanted to ask if he still attended. I had the feeling that no one in his or her right mind would turn down a call to serve New York Avenue Presbyterian Church. I have told that story over the years and I’ve laughed about it and others have laughed about it, but there was something very serious going on there. I think they were under the impression they were offering me a job. No – together we were trying to seek God’s will. You – here at Grace Covenant - never offered me a job here to be your pastor. You CALLED me to be your pastor. I had to agree that God had called me here. You and I together, and also presbytery had to agree I had a call to come here. My old presbytery had to agree that I was called here. Even my former church members had to agree that I was called by God to come here. A contract is simple – a CALL is complicated. I don’t have a contract, I have a call. And a call is a lot more complicated than a contract, and harder to get into and harder to get out of, and takes a lot more time to discern. So – I never went to New York Avenue Presbyterian Church because I did not believe God called me to be there. And a couple of decades later, I am here at this church as your pastor because God has called me to be here. Now that term “Called by God” is a theological term. We know pastors are called. But let me tell you something else…. Each and every one of us is called by God. And we are called to do different things. 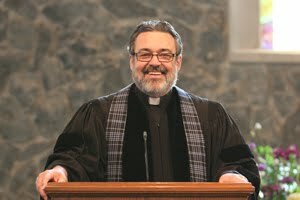 How many here have been called at one time or other to be a pastor? How many have worked with youth? How many have worked with Sunday School classes? How many have worked in the music ministry of the church? Let’s think more broadly about how God calls us. How many of you now, or in the past, have been a teacher in a public or private school? How many have served as nurses or doctors or other medical professional? We have so many who serve as Police, fire, ambulance, or other first responder. How many of you are first responders? How many mothers and fathers here? How many aunts and uncles? How many of you have served in someway in a civic organization, scouting, soup kitchens, or as a volunteer with some organization that helped others in our community. Right now we are praying that God will call a few more to be Sunday School teachers, elders and deacons. We are looking for some folks who have that calling. I could go on and on and one, listing one thing after another for an hour or more – but these give you an indication as to how long the list is. God calls – and what God calls us to do is from a long list of possibilities. Hopefully, as Christians whatever we are doing are things we have been called to do. Now let me tell you a little about the call. First, the Call is from God, and it is part of his plan. It is a long term plan. God is not making it up as he goes along. Consecrated – another way of saying called. You have a call from God, and you probably have many calls from God to do many different things at different times. Don’t expect it to make any sense whatsoever! It is, in fact, usually counter intuitive. I love Washington DC. I love this country and say what you will about those politicians, I am proud to be an American and would have loved to have been a pastor in that church. New York Avenue Presbyterian Church? Who in their right mind would say no to them. Turning them down certainly did not make any sense to the Pastor Nominating Committee. On the other hand, my first church was a little church in Sumter SC. I knew the moment I walked into that church that I was called there. The Pastor Nominating Committee did not know, they tried to call someone else. Actually, they tried to call lots of others until they began to believe no one in his or her right mind would go to a tiny little church that Presbytery was even considering closing. Eventually they asked me and I said yes. Jeremiah? He is too young. God says don’t think about your age. Jeremiah? He is not a public speaker. God says don’t worry about it, I’ll give you the words to speak. Worked for Moses, it will work for you. Remember what we read from the Old Testament? If God calls you, don’t worry if it makes sense, just make sure it makes a call. God will figure out the details. Another thing about being called by God – it is like the Olympics. It’s tough! It’s not easy. Being a soldier is not easy. Having a job that deals with the public safety is not easy. Whatever God calls you to do will be difficult. Teaching in public school, serving as an elder or deacon in this church, working in the soup kitchen – whatever God calls you to do will be tough! But you can do it – not because you have the strength, but because God has the strength. If you think it is hard for you to be called to be a parent, or to be a nursery worker, or to work with the homeless, think about Jesus Christ. He was called by God – now I am not going to remind you of how Jesus was called and three years later he was crucified. That was tough, of course, but I am going to remind you that on the VERY FIRST DAY Jesus had it difficult. Now that part we often remember, but Luke goes on. And starts talking about Elijah and how Elijah was sent not to all of the Jewish people to help them during a famine and drought, but to a single person, a woman, and outcast. Wow! Those people were upset! From the very beginning, Jesus had it tough. And when God calls you, you will have it tough. Whatever God calls you to do will be difficult, and he does not call you because he knows YOU can do it, he calls YOU because he will give you the strength. Your task is to listen to the call of God, and to accept that call, and to depend on God so you can do your best.